News traders, huddle up! Aside from the central bank events scheduled this week, we’ve also got a bunch of top-tier U.K. economic data lined up. For this edition of my Forex Trading Guide, I’ll be zooming in on the August employment report, which is due on September 18 (8:30 am GMT). Let’s go through our usual routine, shall we? 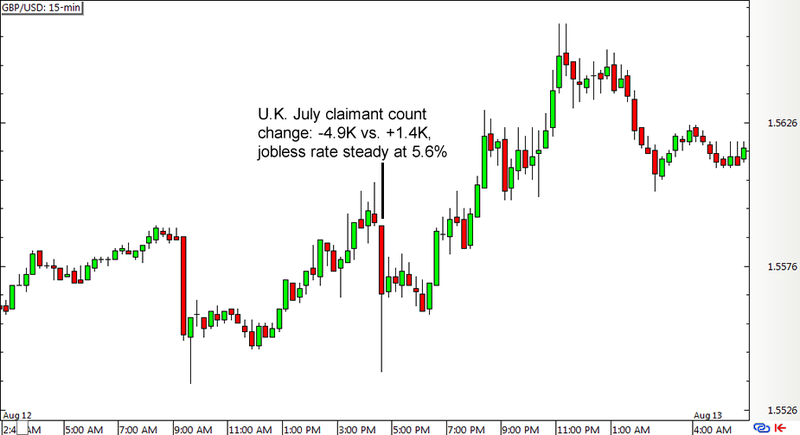 The U.K. jobs report is composed of two main components: the claimant count change and the jobless rate. The claimant count change shows the number of people claiming unemployment-related benefits every month. A number that is lower than the previous figure or lower than the estimated count means there’s fewer unemployed folks, which is better for the U.K. economy and the British pound. The unemployment rate measures the number of unemployed workers as a percentage of the U.K. labor force. Just like the claimant count change, a lower figure compared to the previous one or the estimate is a positive sign for the U.K. economy. Forex traders also pay close attention to the average earnings index, which reflects the three-month rolling average of wages paid by businesses and government offices to its employees. A rising figure or one that is higher than expected indicates a faster pace of wage growth, which could then translate to stronger consumer spending and overall growth later on. How did the previous report turn out? For the month of July, the U.K. economy reported a 4.9K drop in claimant count instead of the projected 1.4K increase in joblessness. To top it off, the earlier release enjoyed an upgrade from the initially reported 7.0K rise in unemployment to a smaller 0.2K increase. This was enough to keep the unemployment rate steady at 5.6% for the month. Meanwhile, the average earnings index slipped from 3.2% to 2.4% in the three-month period ending in June. This means that wage growth slowed in the second quarter of the year compared to the first quarter, suggesting that the U.K. labor market may have lost a bit of momentum. GBP/USD initially sold off after seeing some figures in the red but regained ground and went for some gains when forex traders realized that the U.K. economy has managed to cap off four consecutive months of weaker than expected claimant count change readings. For the month of August, the claimant count is expected to fall by 5.1K while the jobless rate is expected to stay unchanged at 5.6% for the third month in a row. Meanwhile, the average earnings index is expected to show a small gain from 2.4% to 2.5% for the three-month period ending in July. Stronger than expected results could signal that the U.K. labor market is regaining momentum, which could spur a rally for the pound. On the other hand, weaker than expected data could suggest that the hiring slowdown might last a bit longer, possibly triggering more losses for the British currency. If you’re looking to trade this news event, keep in mind that Cable usually consolidates during the Asian session prior to the actual release so a straddle setup could be a good forex strategy. If you’re unable or unwilling to catch the initial reaction, which tends to be volatile, you could opt to ride the follow-through until the end of the U.S. trading session.